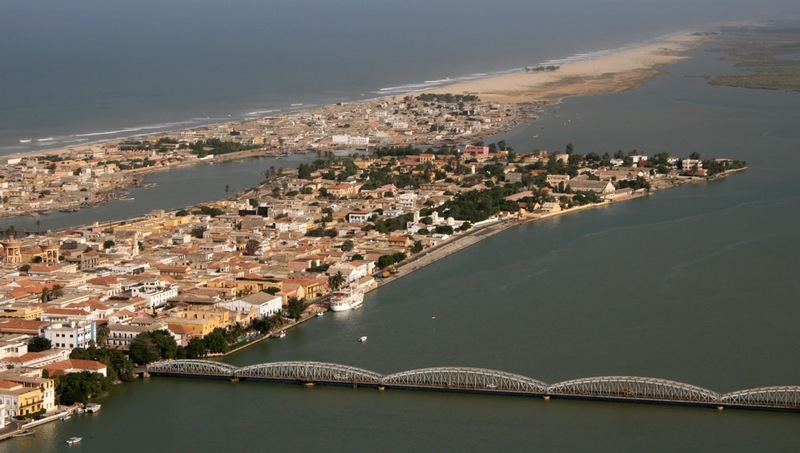 The river Senegal marks the border between Mali to the East and Mauritania to the North. On its Senegalese banks, it truly unites the edge of the Sahara with the Atlantic Ocean. The river region offers a real touristic interest: from the geographic point of view first with a wide variety of landscapes, whether one travels towards the Ocean or sails back to semi-desert regions. The valley between Dagana and Bakel is the main flood plain of the country and the most fertile growing area. From the historic point of view, it was a central region that saw the first kingdoms, the Islamisation, the colonization with its different trade posts spread along the river. Let’s take a closer look at the cities that we will cross with the Bou el Mogdad. Listed as a UNESCO world heritage since 2000, Saint-Louis has been the first trade post installed by the Europeans in West Africa. The warm-coloured old buildings, with their balconies made of cast iron, are witnesses of the colonial period, during which the city had very important functions. As a matter of fact, it was declared capital of French West Africa in 1895. More vestiges from that era: the church, the mosque, the barracks, the courthouse and the large hospital. 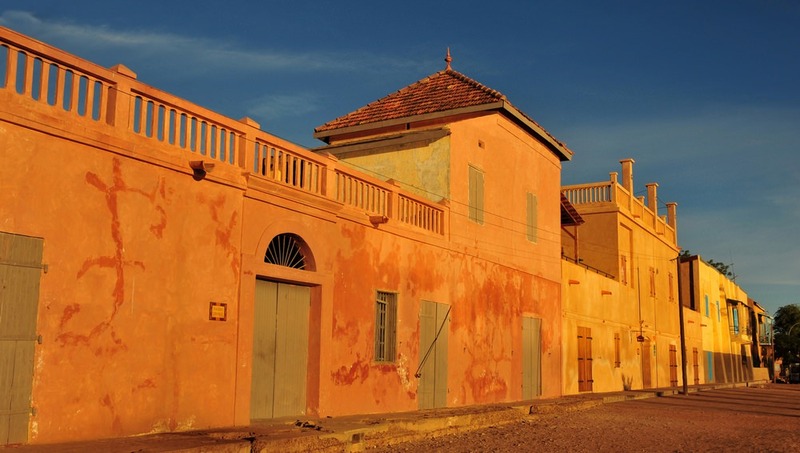 Nowadays Saint-Louis preserves its village friendly atmosphere and the term of “Teranga” seems to perfectly suit the city. Sometimes still at the centre of the culture, Saint-Louis hosts the famous world jazz festival every year, that brings together music bands and populations coming from the whole world. Richard-Toll is specially known for its “Baron Roger extravagance”. Governor of Senegal from 1822 to 1826, he had this surprising building constructed with a trial garden on the side in order to undertake agronomic research in the Walo. The garden was going to be headed by a gardener called Richard, hence the city’s name, Richard-Toll (in Wolof: Richard’s field). Inside the property were buildings, a brick oven, a rowing and sail barge, a noria, a scale, a few oxes, thirty workers and an armed post. From September 1822, banana trees were being grown, as well as orange trees, guava trees, sugar cane, coffee tree and cotton plants. In 1945, in order to address the food shortage, the French administration decided to grow rice in the delta of the river Senegal. Thousands of hectares of land were equipped with an irrigation system. This very system is still in use today by the Compagnie Sucrière Sénégalaise that produces 100,000 tonnes of sugar per year. It is the largest agro-industrial company and the first employer of the country, with 8.000 workers. Also known as « the capital of the Walo », Dagana has a rich colonial past due to its location as a stopover city along the river. In 1820, a fort was built to protect the trade on the river from the Moorish incursions that were frequent. With the coming of General Faidherbe, trade flourished and Saintlouisian houses were being built along the docks. In the 19th century, the gum Arabic crisis would put an end to the trading activities of this city. Today Dagana has developed irrigated agricultural land for rice growing. Here craft trade has a blend of cultures: Moors, Wolofs, Peulhs. It is still present, in the form of weaving, dyeing, pottery, metalcraft and leather. Situated in the northernmost part of the country Podor is just a few miles away from the border with Mauritania. A region with ancient populations, it was the preferred meeting place between the sedentary peoples of the region and the Moors. 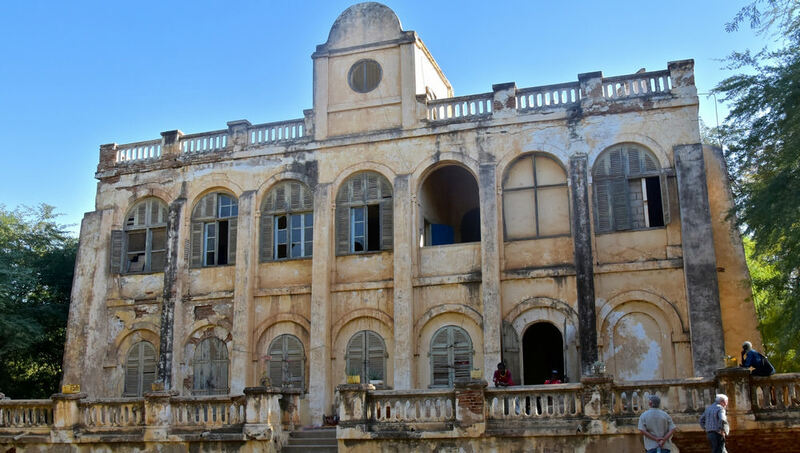 Considered a strategic trading post during the colonial period, the French built a first fort there from 1744, renovated in 1854 by the general Faidherbe after the English left it. This fort was a proof of the military and administrative stranglehold of the French on the Fouta region. The Podor docks are also interesting thanks to the alignment of their earthy-toned houses that face Mauritania. Podor was the crossing point for Mauritanian traders carrying millet, gum Arabic or even amber, to Saint-Louis on the river. The Podor region and its surrounding villages consist of traditional housing made of clay. 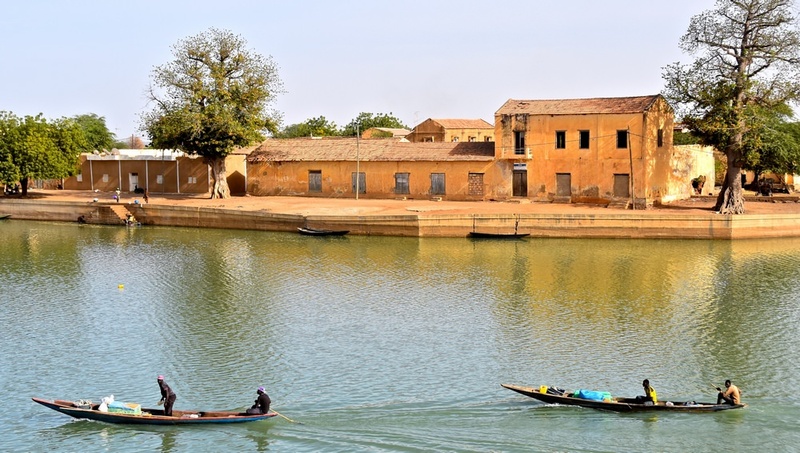 Podor is also situated to the foot of what we call the Morphil Island, a long stretch of land located in the river Senegal, and especially famous for the mosques it harbours. It is a true historic testimony of the Toucouleur Empire established in the region, and of El Hadj Omar Tall, an important figure of the fight against colonial hold.